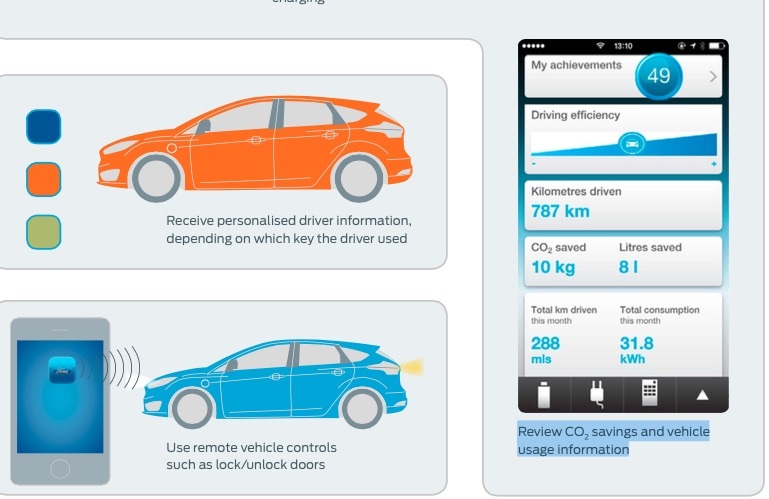 Ford is introducing MyFord Mobile smartphone app and website to help owners of Focus Electric and C-MAX Energi optimise their driving experience in Europe. How My Ford Mobile woks? 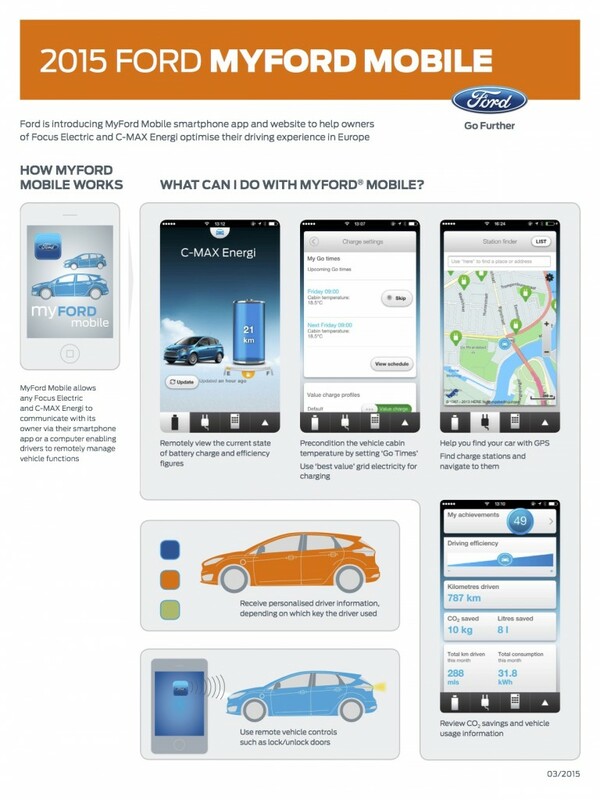 MyFord Mobile allows any Focus Electric and C-MAX Energi to communicate with its owner via their smartphone app or a computer enabling drivers to remotely manage vehicle functions. What can I do with MyFord Mobile?